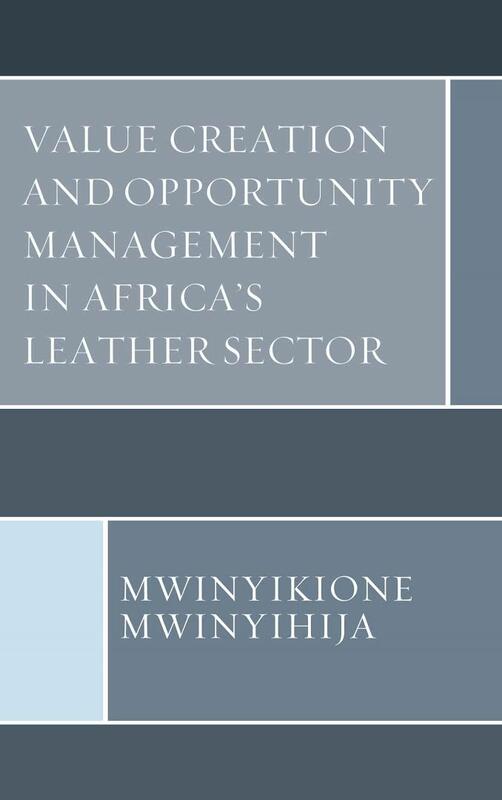 Is Opportunity Management A Precursor To Leather Value Addition Initiatives? Book Chapter (Sole author) (An Overview of Selected lux- marked Biosensors and Its Application As A Tool To Ecotoxicological Analysis) on Book titled ‘Biosensors, Uses and Application’ - Nova publishers (USA), 2008/09. Mwinyihija, M (2014). Analysis of the trading regime of the leather value chain strata in Kenya. Business Management and Strategy (Macrothink Institute). Vol. 5(2). Mwinyihija, M. (2014). 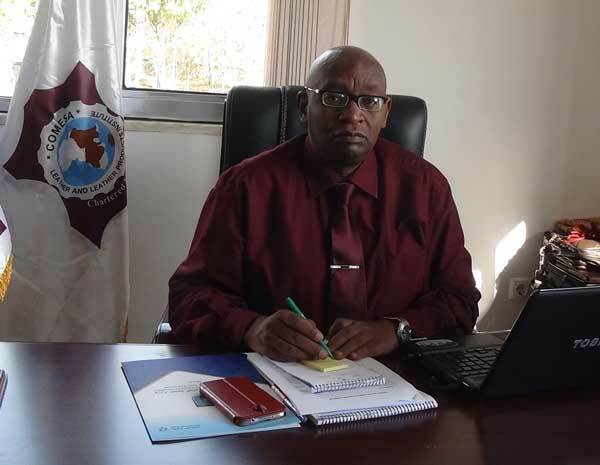 Evaluation of Africa’s critical demographic trends in the leather sector development and integration of novel participatory ‘Triple Helix’ Approach. International Journal of Management, Vol. 3(3), 6-14. Mwinyihija, M & Quisenberry, W (2014). Innovation response from the leather value chain strata survey in Kenya. International Review of Management and Business Research,Vol. 3(3), 1390-1400. Mwinyihija, M (2014). Evaluation of competitiveness response from the leather value chain in Kenya. Research in Business and Management (Macrothink Institute), Vol. 2(1), 1-24. Mwinyihija, M (2014). Emerging World leather trends and continental shifts on leather and Leather goods production. Advances in business management and administration. Vol. 1(1), 001-013. Mwinyihija, M. (2014). A prognosis of the leather sector in Kenya; The upheavals and antidotes associated with value creation. ManagementVol.4(1), 21-29. Mwinyihija, M (2014). Evaluation of productivity response from the leather value chain strata in Kenya. Business Management and Strategy (Macrothink Institute). Mwinyihija, M & Quisenberry, W (2013). 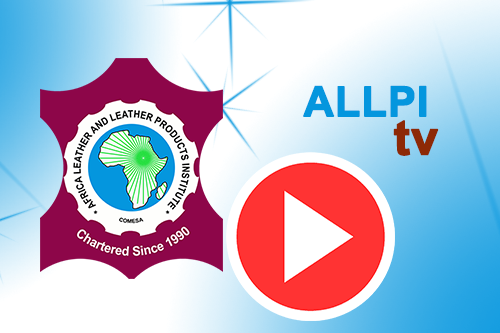 Review of the challenges towards value addition of the leather sector in Africa. Global Advanced Research Journal of Management and Business. Vol 2(11), 518-528. Mwinyihija, M & Quisenberry, W (2013). Is opportunity management A precursor to leather value addition initiatives. The international Journal of Business & Management. Issue 5, 1-11. Mekonnen Hailemarium, Mwinyikione Mwinyihija and Nicholus Mudungwe (2013). Unlocking the potential of Ethiopian Leather value chain; Livestock based extension service role. Proceedings of the 27th Veterinary Assoc. Conference held on 6th & 7th September, 2013. Ethiopian Veterinary Assoc. Journal (in press). Mwinyikione Mwinyihija (2012). Application and relevance of biosensors in the tanning Industry, International Journal of Environmental Research Journal, 6(4): 969 – 984. Mwinyikione Mwinyihija (2011). 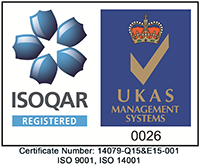 Essentials of ecotoxicology in the tanning Industry. Journal of Environmental Chemistry and ecotoxicology. Journal of Environmental Chemistry and Ecotoxicology Vol. 3(13). 323-331 (2011). Mwinyikione Mwinyihija (2011). Ecological Risk Assessment (ERA) as a tool to pollution control of the tanning industry. Resources and Environment journal. Resources and Environment, 1(1); 1-12 (2011). F.R.Sadeque Ahmed, Ian J Alexander, Mwinyikione Mwinyihija, Ken Killham (2012). Effect of Superphosphate and Arbuscular Mycorrhizal Fungus Glomus mosseae on Phosphorus andArsenic Uptake in Lentil (Lens culinaris L.). Water, Air & Soil Pollution, 221: 169 – 182. (2011). Mwinyikione Mwinyihija, Joan Magero, George N. Chamining’wa, Arumugam Gnanamani (2011). Characterization of Hides and Skins Curing Process and Resultant Effluent Impact on Soil Profile at Mariakani, Kenya. Proceedings of the II International Leather Engineering Congress ‘Innovative Aspects for Leather Industry May 12 – 13, 2011 Izmir, Turkiye pg.63-71. Donald Macphee, Richard Wells, Angela Kruth, Malcolm Todd, Taha Elmorsi, Cairns Smith, Dubravka Pokrajac, Norval Starchan, Mwinyikione Mwinyihija, Efe Scott-Emuarkpor, Silke Nissen & Ken Killham (2010). A visible light driven photoelectrocatalytic fuel cell for clean-up of contaminated water supplies. Desalination 251:132-137 (co-author.). Edmond Gatima, Mwinyikione Mwinyihija and Ken Killham (2007). Determination of the effect of Bone meal as an ameliorant for lead contaminated soils Research Journal of Environmental Toxicology 1(3):105-115,(Corresponding Author). Edmond Gatima, Mwinyikione Mwinyihija and Ken Killham (2007). Determination of the effect of Red Earth as an ameliorant for lead contaminated soils Research Journal of Environmental Toxicology 1(2):51-61, 2007 Corresponding Author). Mwinyikione Mwinyihija (2007). Assessment of anaerobic lagoons efficacy in reducing toxicity levels of tannery effluent in Kenya. Research Journal of Environmental Toxicology 1(4): 167-175, 2007 (Sole Author). Mwinyikione Mwinyihija and Ken Killham (2006). Is the Kenyan tanning industry integral to prioritised environmental sustainability targets set in the quest to industrialisation by 2020 AD? Journal of Environmental Sciences Vol. 3(2): 113-134. Edmond Gatima, Mwinyikione Mwinyihija and Ken Killham (2006). Determination of adsorption efficiency related to red earth, Bone meal and Pulverised Fly Ash as ameliorants to lead contaminated soils. International Journal of Environmental Science and Technology. Vol. 3 (3):269-288 (Corresponding Author). Mwinyihija M, Strachan N, Rotariu O, Standing D, Meharg A, Killham K(2006) Ecotoxicological Screening of Kenyan tannery dust using a luminescent based biosensor. The International Journal of Environmental Health 16(1):47-58. Mwinyikione Mwinyihija, Andy Meharg, Julian Dawson, Norval J.C. Strachan and Ken Killham (2006).An ecotoxicological approach to assessing the impact of tanning Industry effluent on river health. Archives of Environmental contamination and Toxicology, 50(3):316. Mwinyihija M, Killham K, Rotariu O, Meharg A, Strachan NJ. (2005). Assessing the occupational risk of dust particles in the Kenyan tanning Industry using rapid image processing and microscopy techniques. International Journal of Environmental Health and Research Vol. 15:1 53:62. Mwinyikione Mwinyihija, Norval JC Strachan, Andy Meharg and Ken Killham (2005) Biosensor based toxicity dissection of tannery and associated environmental samples. The Journal of American Leather Chemist Association, Vol. 100 (12):481- 490. M. Mwinyihija, A. Meharg, N. J. C. Strachan, and K. Killham (2005). Ecological Risk Assessment of the Kenyan tannery industry. The Journal of American Leather Chemist Association, Vol. 100(11):380-395. Edmond Gatima, Mwinyikione Mwinyihija and Ken Killham (2006). Assessment of the effect and bioavailability of Pulverised Fly Ash (PFA) as an ameliorant on lead contaminated soils. American Journal of Environmental Science, 1(3):230-238 (Corresponding Author). Mwinyihija, M (2014). Importance of the Leather Value Chain and Selected Demographics of SME’s in The Region. Presented during the Regional Leather Cluster Capacity Building: The Triple Helix Approach Workshop held at Cresta Lodge, Harare, Zimbabwe from 18th June to 19th June, 2014. Mwinyihija, M (2013b). Strategies for strengthening regional value chains in the leather sector. Regional workshop on South –South trade in Africa. Sponsored by UNCTAD, Africa-Exim Bank and Commonwealth Secretariat held on 10th to 11th December, 2013, Nairobi Kenya. Mwinyihija, M (2013d). The role of regional associations in the region. Regional workshop on South –South trade in Africa. Sponsored by UNCTAD, Africa-Exim Bank and Commonwealth Secretariat held on 10th to 11th December, 2013, Nairobi Kenya. Mwinyihija Mwinyikione (2011, July). Value addition in the hides, skins and Leather sub-sector published in the Leather Magazine premier issue of July 2011. Mwinyikione Mwinyihija (2011, July).The dilemma in marketing of Camel (Camelus dromedarius) hides in Kenya published in the Leather Magazine premier issue of July 2011. Mwinyikione Mwinyihija(2011). Characterisation of hides and skins curing process and resultant impact on soil profile at Mariakani, Kenya. Published in the Leather Magazine premier issue of July, 2011. Mwinyikione Mwinyihija(2011). The World Footwear Market and Perspectives for Leather. World Leather Congress November 9, 2011, Rio De Janeiro, Brazil. Mwinyikione Mwinyihija (2008). Contributed an article titled ‘Hides, Skins and Leather in Kenya’ in the leather International magazine Nov/Dec 2008 Edition pg. 30-32. Regional leather value chain growth through involvement of SME’s April 28th /29th, 2014 – Bujumbura, Burundi. Perspective of Africa Leather sector. Held on 30th March 2014, Hong Kong Conventional Centre during the Annual International Tanners Council Meeting. Importance of the leather chain globally, regionally and in Eritrea – September, 2014 held in Asmara, Eritrea. Regional Leather clusters capacity building – The Triple Helix Approach. Held in June, 2014 at Cresta Lodge, Harare, Zimbabwe. ‘Regional Cluster Management excellency’ Presented at a regional workshop held from 27th to 29th May, 2013 at Siavonga Lodge, Zambia. Comesa leather and leather products Institute current performance vis a vis its medium term strategic plan’ held at Grand Villa Hotel, Khatoum, Sudan from 25th-26th June, 2013. Comesa Region Leather Sector: A Short Overview, Challenges and Market Opportunities’ Presented at The International Council of Tanners March 24th, 2013, At the International Convention Centre, Hong Kong. East Africa’s Leather Sector Initiative towards value addition; Kenya as a case study’. Presented During the 18th Session of the UNIDO Leather and Leather products Industry Panel, Shanghai/China, 31st August to 6th on 22nd February to 6th September 2012. ‘Profiling the Leather Sector and Scanning for Opportunities in Kenya’. Presented During the Leather Forum for Investors/stakeholders Drawn from selected Countries from 14th to 15th September 2012, held at the Fairview Hotel, Nairobi Kenya. ‘Tannery and Curing Premises Effluent Management System in Kenya’. Presented During the 18th Session of the UNIDO Leather and Leather products Industry Panel, Shanghai/China, 31st August to 6th on 22nd February to 6th September 2012. ‘Understanding Value addition Initiatives of the Leather sector in Kenya’. Presented at Strathmore Business School on 22nd February 2012. Emerging world leather trends and continental shifts leather and leather goods production during the World leather congress in Rio de-Janeiro, Brazil Nov. 2011. ‘Characterization of Hides and Skins curing process and resultant effluent impact on soil profile at Mariakani’ Kenya. II International Leather Engineering Congress 2011 with the theme ‘Innovative Aspects for Leather Industry’ held at The Hilton Hotel from 12th - 13th May, 2011, Izmir, Turkey. ‘An Evaluation of the Hides, Skins and Leather Sector in Africa : With a glimpse of Kenya’. Presented to the 2nd International Leather Forum Sao Paulo 2011 held on 18th January, 2011, at the Auditorium of Couromoda, Sao Paulo, Brazil. Evaluation of salt cured Kenyan hides and skins Part I of a case study at Mariakani Curing premises, Coast province’. Presented during the Kenya Veterinary Association, Scientific Conference held at Garissa April, 2010. Establishing an Agenda for the Footwear Industry In Kenya’ Stakeholder Workshop addressing the cohesion on sustainability of the footwear sector in Kenya, Held at Agricultural Information Center Nairobi Kenya, 16th September, 2009. ‘Setting the Agenda towards sustainable development of the leather subsector in Kenya’. Presented on the 12th August, 2009 – To the National Leather Apex Committee, during visit and courtesy call to the Permanent Secretary, Ministry of Livestock Development, held at Kilimo House, Hq. Board Room, Nairobi, Kenya. ‘Strengthening and availing highly skilled manpower in the leather subsector in achieving set goals of vision 2030’, Stakeholder Workshop On Curricula For Leather Technology, Held at Holiday Inn, Nairobi Kenya, 5th August, 2009. Prerequisites of the leather subsector towards attaining the objectives of vision 2030’ Presented on the 29th July, 2009 - During the Sensitization workshop for all District Veterinary Officers, Officers i/c Veterinary Investigation Laboratories & Provincial Directors of Veterinary Services, Nationwide (28th – 30th July ’09) held at the Kenya Agriculture Research Institute (KARI) Hq, Conference Hall, Kangemi, Kenya. ‘The dilemma in marketing of Camel (Camelus dromedarius) hides in Kenya’. Presented on the 25th to 29th May, 2009 – during the 14th Annual Kenya Camel forum, held at the Arid Lands Conference hall, Moyale, Kenya. Evaluation of the strategic plan of the Hides, Skins and Leather sub-sector (2008-’12) as It mirrors the vision 2030’ Held on 4th August 2008 at Kenya Institute of Administration, Kabete – Kenya. The potential of the Hides, skins and leather sub-sector in Kenya in the context of vision 2030’ presented to the PS, Ministry of Livestock Development (10th June, 2008) and Technical staff at Kabete Vet.Labs, Kenya. Food Security and Poverty Alleviation in Arid and Semi Arid Lands (Asal) In Kenya; The Role of the Dromedary Camel.” at Kakamega during the World Veterinary Day held from 22nd to 26th 2008. Presented ‘A brief overview of the Kenyan Tanning Industry’ the Central Leather and Research Institute, Chennai, India February, 2007. Presented the following topics at Pan Africa Hotel, Nairobi from 29th to 31st of May 2006. Morphological characteristics of Hides and skins as affected by various environmental parameters during pre and post slaughter treatment. Performance indicators of the Hides and Skins Improvement: A case study of Dagoretti Market in Kenya. (Also presented to the stakeholders in Kiambu). A general perspective of the Hides and Skins Improvement in Kenya presented to the stake holders of the Hides, skins and leather sub-sector at Dagoretti Market (Thiani Slaughter House Board Room), Public health officers of the Veterinary Department at Lake side Hotel Naivasha and Hides, Skins and Leather Development Personnel at Eldoret a topic on; ‘Current Perspective of the Hides, Skins and Leather Industry in Kenya’. Impact of the East African Tanning Industry on soils and water, Organised By the School of Biological Sciences - for the Academic community, University of Aberdeen, UK. 1ST / 2nd Talk - Overview of the “Impacts of E. African Tanning Industries on Soils and Water”. Principles of project development and proposal writing on 12th of November 2001. A paper on policies and areas earmarked for review under the Hides and Skin improvement and leather development sector on 14th Nov. 2001. ~ The impact of tanning Industry effluent on river health; Enzymes attesting to river sediment health. Young Scientist Conference organised by British Society of Soil Science and held at Imperial College, London 8th/9th April 2005. ~ Dissection of tannery effluent toxicity, Poster presentation to a Scientific Conference on Recent Advances in Science by The British Society of Soil Science, University of Nottingham. UK(2004). ~ Rapid assessment of contaminated dust particles in the tanning Industry: using microscopy and image processing techniques, Poster presentation, Research Day School of Biological Sciences, University of Aberdeen.